Edit design Babyblanket elephant , or create your design from scratch. Custom baby blanket with clipart and text of your choice. 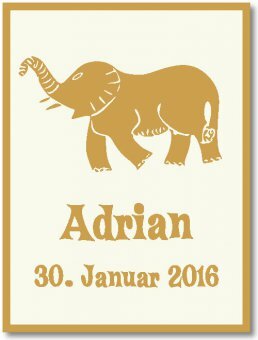 Design the whole blanket with your custom artwork, or leave the elephant and simply add baby's name. Babyblanket elephant made to order with your custom design, text, logo. No minimums.